Philip Sutton published the first warning about fluoridation deceptive claims made about the first experimental fluoridation plants. His book Fluoridation: “Errors and Omissions in Experimental Trials”, published 1959 is only now acknowledged by the fluoridation hierarchy as correct, even though throughout the years since he published his research, the Health Departments of the USA & government employed dentists throughout the world to aggressively attack his printed data. This book has been written in response to numerous requests to ‘update’ thesecond edition of my monograph Fluoridation: Errors and Omissions in Experimental Trials. The first part of the present volume considers material published since the monograph was printed in 1960. At that time very few other comments had been made which questioned the efficacy of fluoridation. The main section of the latter part of the book (Chapter 19) is a reprint of the second edition,which considered the reports from the five fluoridation trials which had been completed at that time. These had been established between 1945 and 1947 in Grand Rapids, Newburgh and Evanston, USA and two of them in Brantford, Canada. Although the monograph is now thirty years old and has been out of print for many years it is still cited. As no errors have been found in it and as it is still in demand and remains as relevant in the 1990’s as it was in 1960, it is reproduced unchanged in Chapter 19 of the present volume. The four studies which are considered at length in Chapters 19 to 21 are still very important in the fluoridation discussion. In a report prepared for the Canadian Dental Association in 1981 by Lang and Clark, they were stated to have provided ‘….much of the justification for water fluoridation.’ Also, these four studies were cited prominently in a WHO book in 1984, its latest publication on this subject. About The Author PHILIP R.N. SUTTON D.D.Sc (Melb) L.D.S., F.R.A.C.D.S. D.R. Sutton wrote his first article pointing out errors in fluoridation trials, in the Medical Journal of Australia, thirty-five years ago. He continued to study & write about fluoridation, published numerous articles & two previous books on this subject. In 1935, on his twenty first birthday, he graduated with honours from the University of Melbourne, having completed the five year course of the Bachelor of Dental Science. He immediately undertook post-graduate study and research in Physiology and Biochemistry & established a private practice in Brighton, Victoria which he conducted for twenty-five years. On the outbreak of war in 1939 he enlisted in the Australian Army, serving in the Dental Corps for a total of five years. In North Borneo he was a member of an Australian Army medical team which saved British and Australian servicemen who had just been released from a small prisoner-of-war camp where they had been dying from starvation at the rate of six a day. Observations he made at that time formed the basis of a thesis submitted to the University of Melbourne which gained him the degree of Doctor of Dental Science – the highest dental research degree. After the war he persuaded the Professor of Statistics at the University of Melbourne to establish a course, now called Statistics for Research Workers, and having completed the course, joined the Statistical Society and was later elected Chairman of the Biometric Society. He was invited to become one of the Foundation Fellows to form the Royal Australasian College of Dental Surgeons. Dr. Sutton was elected to the Council of the Victorian Branch of the Australian Dental Association which appointed him as its representative on the Preventative Dentistry Committee which employed a public relations consultant to promote fluoridation, which had just been introduced into Australia. Therefore, because of that association, at that time he could have been said to be a promoter of fluoridation. In 1956 he was appointed a Senior Research Fellow of the University of Melbourne and took his family for a year to Raratonga Island, South Pacific, where he provided free dental treatment & studied tooth abnormalities in Polynesians which resulted from their diet and habits. 1965; Advances in Oral Biology, Vol. 2, 1966, Academic Press). He published a second Fluoridation, 1979; Scientific Criticisms and Fluoride Dangers as a 285 page submission to the Victorian Government-sponsored Committee of Inquiry into the Fluoridation of Victorian Water Supplies. This led to him being flown to Edinburgh to give evidence for several days before the inquiry into fluoridation in the High Court. 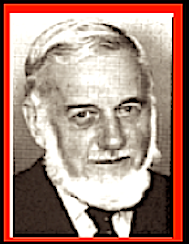 Dr. Sutton had wide-ranging research interests and publications apart from fluoridation, such as his series of papers on the relation between mental stress & dental decay, the initial article being his first publication in Nature. He became a regular contributor to the ‘ideas’ scientific journal Medical Hypotheses, which has published all the eleven papers he has submitted. Philip Sutton was internationally respected as a dentist & medical researcher & a great gentleman. Almost without exception, Philip Sutton is mentioned in the references of world publications on fluoridation. Philip Sutton was noted as a strong fluoridation critic, but never once stooped to personalities because of his strong conviction that honest science is where debate should be confined. Philip, as he was affectionately known around Australia, was always available for discussions and advice on fluoridation and practical help in dentistry. “…The quality of the early intervention trials was generally poor.” So it took over 30 years before Philip Sutton’s research data was acknowledged as correct by the Australian Government and other international organizations. It would be difficult to find a more academically qualified and practical dental doctor with qualifications that set him above the so-called ‘experts’ foolish enough to criticize his work. Philip Sutton gave evidence at fluoridation enquiries around Australia, he also attended public meetings, often speaking on fluoridation. He always answered the questions that usually came fast & furiously. The world has lost a great scientist, but he left a standard of quality research in his publications (including articles published in most countries of the world), and in his books, suggesting a standard that should continue to form the basis of proper debate on fluoridation. To the end of his life Dr. Sutton was a seeker of truth. Unfortunately he did not live to see this his final work published as he died on 12th March, 1995.